I have visited Lake Titicaca a number of times, mostly on the Peruvian side but also on the Bolivian one. 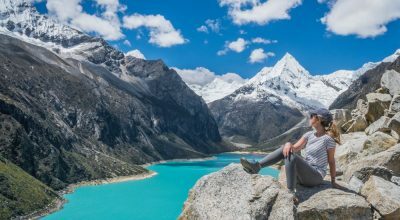 There are many ways to visit the lake on the way from Bolivia to Peru, from Peru to Bolivia as well as while visiting either of the two countries separately. If I had to choose one side of Lake Titicaca to visit, I would prefer the Bolivian side, especially if you spend the night at Isla del Sol. The ever present backdrop of the snow-capped peaks of the Cordillera Real make for stunning views of the lake the whole time. The Bolivian side is also smaller, so its easier to visit. On a stand alone Bolivia visit of the lake, you should include Tiwanaku and the little islands of Pariti and Kalahuta, both which Vicky and Nora of Aracari visited on this same trip. Nico, Simon from Aracari’s Lima office, Darius of Crillon Tours, our guide Gustavo and I, drove from La Paz to Huatajata (one of the handful of ports on the Bolivian side of the lake). 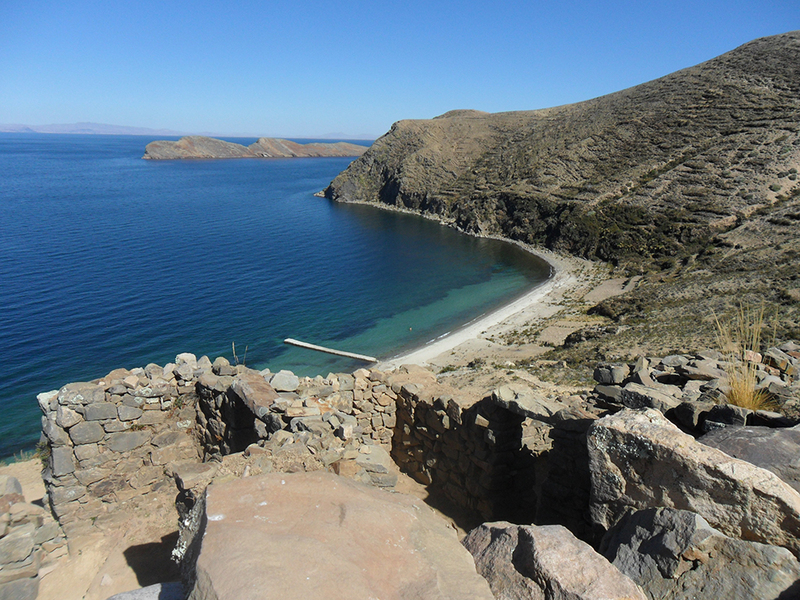 From there we went on the fast Hydrofoil service across Winaymarka (or small lake) to the Isla del Sol, the largest island on the lake and one of great historical significance, as it is the mythical setting of the birthplace of the Inca Empire. There are two sets of ruins on the island and they can easily be visited if you have the energy to hike a bit, which is what we did. From Huatajata to Isla del Sol took a little over 2 hours. We disembarked, visited the inca ruins of Pillkokaina and the Inca steps, and then we hiked up to our home for the night, Posada del Inca Ecolodge. The hike up was about 45 minutes but we had the assistance of Patricia, the friendly mule. Posada del Inca Ecolodge is an adobe-built lodge with 15 rooms. It is very pretty, simple and tastefully decorated, surrounded by flowers and gardens and with a wonderful view, located outside the most populated southern part of the island, called Yunami. Adequate and comfortable, offering simple but delicious food, it is the perfect spot to spend the night on Isla del Sol and it blends beautifully with the environment. All the staff are lovely and very well trained. We had lunch, had a siesta, played football, played monopoly in front of the fire and after a hearty meal went to sleep early to be ready for our hike to the bay of Challa to visit the ruins there the next day. We set off at 7.30 and began our walk with Isaac, who led the way. It was a beautiful 8 km 3 hour walk, from the southernmost tip of the island to the northern tip. We were blessed by the local shaman, visited the ruins and got on the roof of a fantastic little slow boat on which we sailed for about 1 hour, back to Yunami where a delicious lunch (quinoa soup and Lake Titicaca trout) was awaiting us. The boat ride was spectacular and the beaches and bays of Lake Titicaca were reminiscent of Greece, making it hard to believe we were 4000metres above sea level. We even saw someone skinny dipping on a deserted beach! After lunch, we set off on our fast boat to Copacabana which we know and don’t like so gave it a total miss, and set off to Kasani, the border between Bolivia and Peru. It is a funny border where you need to carry your bags for approximately 100 metres as neither the Bolivian or Peruvian cars can trespass. We made the transfer swiftly and a couple of hours later, we were safely installed at the wonderful and ultra-luxurious Titilaka Hotel. 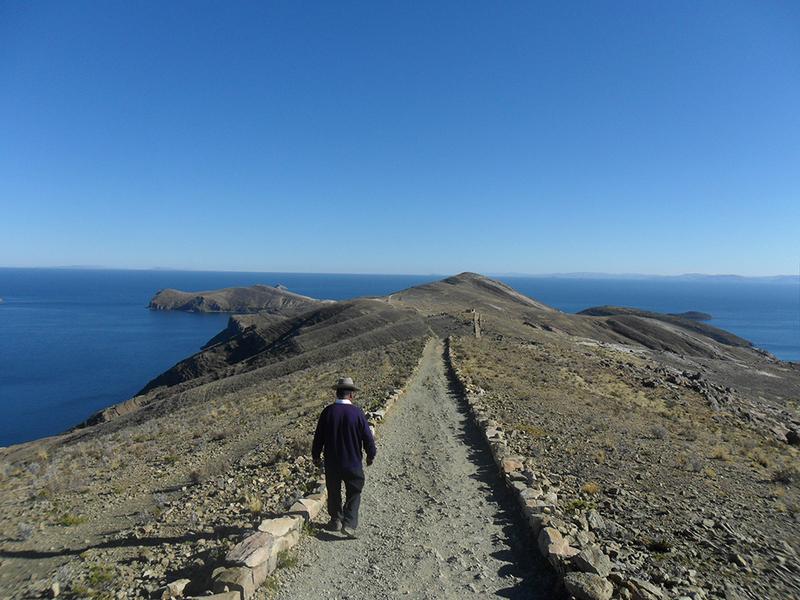 There is much better infrastructure on the Peruvian side of Lake Titicaca, and different ways of visiting the lake. 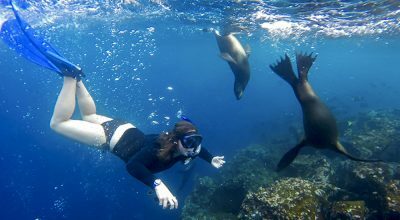 The ways we recommend to visit are if you have little time and are sticking to the Peru side, a 1 day visit while based in the handful of adequate Lake shore Puno hotels (Casa Andina Private Collection, Libertador Isla Esteves or Posada del Inca Puno), on a fast boat with a private guide to visit islands and communities (Uros, Taquile, Llachon or Luquina perhaps). Fast boats are expensive but very much worthwhile, because the lake is large and otherwise you will spend hours getting from one island to the other. Slow boats are the way most tourists do it, and they visit exactly the same places everyone else does at the same time and in the same order. 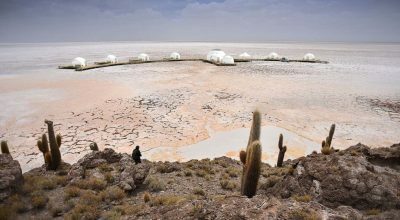 This is why the Peruvian Lake Titicaca visit can be a disappointment and a low-quality visitor experience. If you have little time (i.e. 2 nights), but want to see something more authentic, I would recommend spending your first night at Luquina Chico, a community where the locals run their own tourism initiative. The accommodation is rustic but the experience very real and rewarding and the locals are very friendly and do not act unnaturally. If you have the luxury of time or money, Titilaka, where we stayed, is very posh. The hotel is located near the community of Acora, 1 hour from Puno. the views are magnificent from the bedrooms and the dining room. Titilaka is the poshest hotel we have stayed so far in our trip, including those in Atacama!! The restaurant, housekeeping and reception service are impeccable, the hotel interiors and decor are superb. I feel it is a bit too formal for the location, but it is my view and others could disagree. The hotel organises group activities around the hotel and further afield, all included in the price if you choose the full package. We had a lovely visit to the Uros Islands ( which are over commercialised but are a “must see”) with two other hotel guests. We had fun but I still feel a private guide of a higher cultural calibre and a private visit are better than current group visits offered widely in this region. Another fabulous spot and my favourite option (even if I didn’t visit it this time), is Suasi Island Lodge, an eco-lodge on a private island near the northern shores of the lake. The island boass an ecological reserve of native flora and fauna of the altiplano and a fantastic Cultural Cabin run by the Island Owner and Seigneur, Martha Giraldo, an old friend of mine and a fantastic person. I believe now, after having visited the island numerous times and after this trip, this is the only place in the whole lake area where you can obtain intelligent information about the pre-Hispanic and colonial history of the lake area, its geographical and historical significance. I always say that the lake is to the Altiplano and Andean civilisation what the Nile is to Egypt. If it weren’t for these two bodies of water in these two regions, life and civilisation there would probably not exist, or at least it would be a lot less rich and diverse. 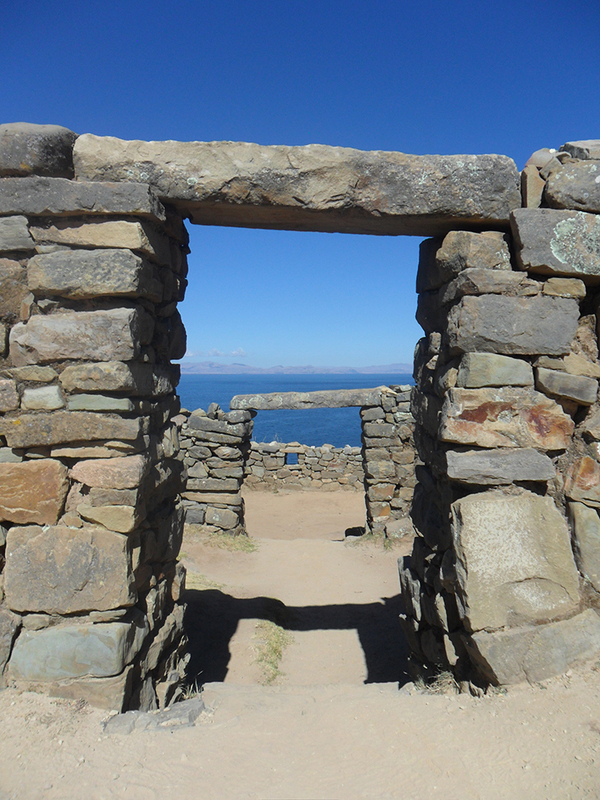 Lake Titicaca is the cradle of Andean civilisation, where Tiwanaku culture had its hub. This was the most influential culture in the pre-Hispanic world influencing later cultures such as Wari and Inca to name just two. It is also the place where the potato – whose influence in world history cannot be underestimated – was first domesticated. It is the mythical birthplace of the Inca Empire and the home of over a hundred communities with distinct traditions of dance and music, making it the folkloric capital of Peru. Copacabana on the shores of the lake was the most important Inca pilgrimage site in the Andes, later adopted by the Catholic religion and still active as a religious hub. The Jesuits spent time in different parts of the lake in the 16th century, the principal exponent was the renowned artist Bernardo Bitti, who was sent from Italy to the New World to “evangelise the indigenous people through art”. In the church of San Juan de Letran in Juli, an hour or so from Puno, on the Southern shores of the lake, you can see a number of his major works. And there is much more cultural heritage of the lake. Suasi can be visited if you have 3 nights to spend in the Lake Area, sleeping one night in Puno and setting off early the next day on your fast boat to cross the lake and settle for two nights in this paradise. 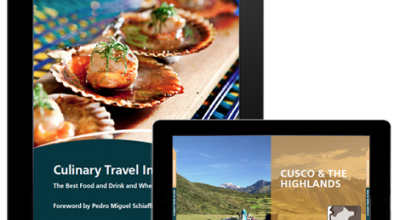 And if you travel from Cusco and want to really have the most authentic Highland adventure, we recommend a visit to Hacienda Mallkini for 2 nights and then Suasi 2 nights. This, would do justice to understanding this wonderful piece of Southern Andes. And if you have an extra night or two, stay on the mainland to visit the Churches of Juli and Pomata, the Burial towers of Sillustani and pristine Andean town of Lampa, the final two of which Simon visited this time. We had to give most of these of this a miss this time – as we had to give a miss the visit to the Yavari, the British steamship from 1862 now a maritime museum on the shores of the lake. We left early in the morning on a scenic but frankly too lengthy train ride along the Altiplano up to La Raya at 4300 and then down to 3400 in Cusco. Departure at 6.30 am, arrival at 5pm. The Orient Express train is lovely and they do their best to make you comfortable, but if you ask me, I would either fly if I don’t have time, or much better, drive and see all the sights on the way, which are many and travel time is much shorter by car. We will be back soon, when I will definitely go to spend some time with Martha in Suasi.